Westfalia Kepler One Pop Top 4 Berth Motorhome based on the VW T6 with 150 bhp and DSG gearbox. 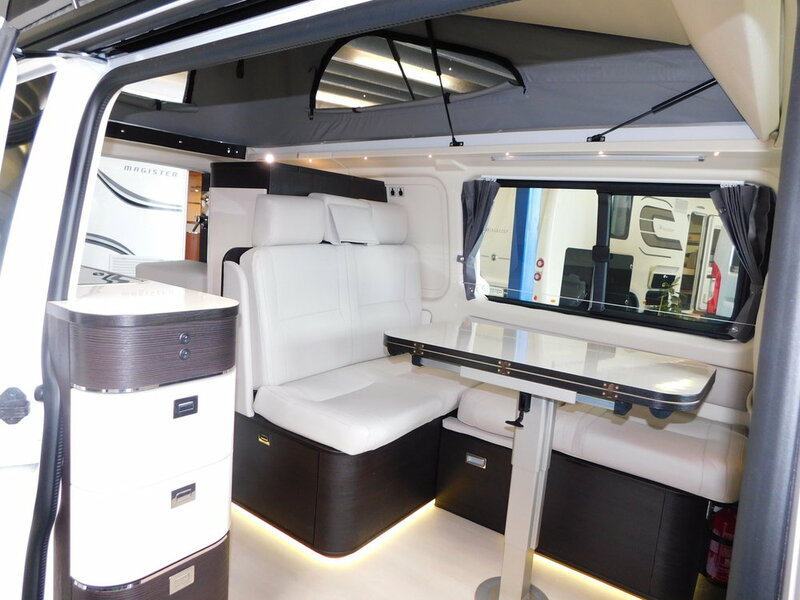 This fantastic Westfalia model is one of their Best Selling, and no wonder why. We have the pop top roof for plenty of headroom. 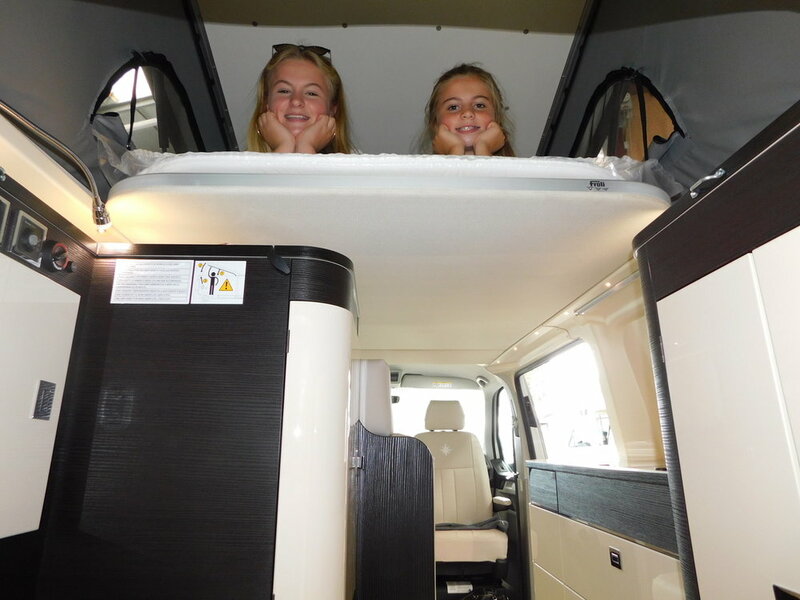 The wonderful L shape lounge complete with 2 x 3 point seat belts easily converts to a double bed, and then there is the additional bed upstairs which is big enough for either a couple of Children or One large Adult. We have kitchen with a gas hob and sink all located under a hinged folding toughened glass top. We also have Fridge with a Freezer box. There is plenty of storage all round, including a Wardrobe. We even have a Toilet and yes, a shower with a shower tray. The model available is finished in Metallic Grey and has the Kepler Option pack which includes Painted Bumpers, Auto Lights and Wipers, Rear Parking Sensors, and a car radio with a 5inch screen. 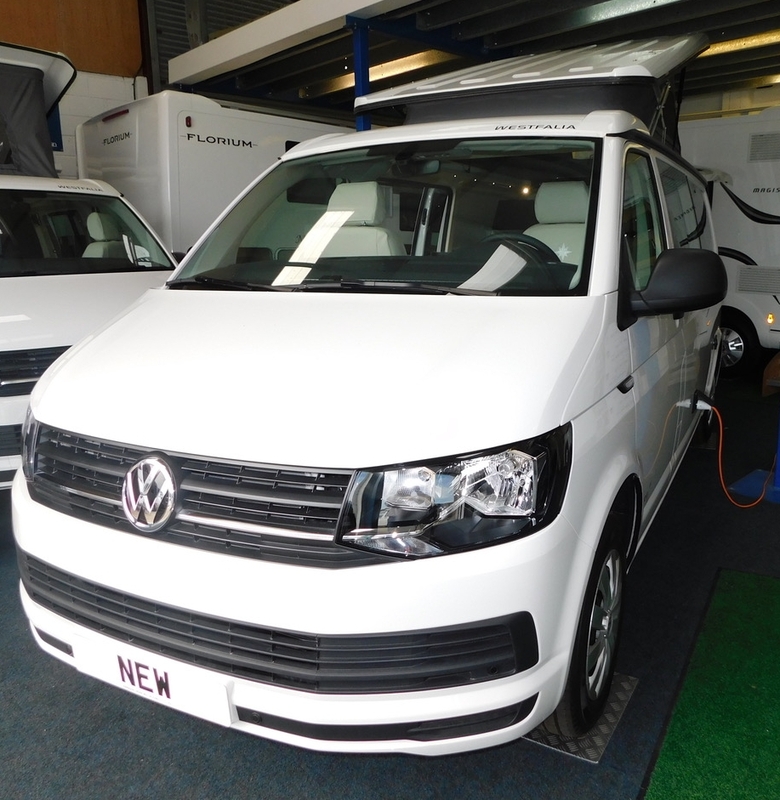 We also have Park Pilot with a Rear view camera, painted handles and mirrors, Satellite Navigation, side door mosquito net, Awning, and an Outdoor camping Pack which includes a table and 2 chairs, as well as a cab separating curtain. We would be pleased to consider any Part Exchange that you may have.